2. Fixed by one 1/4'' screw and a clamp as a second point to ensure safety. 3. Five locating pins correspond to those holes on the bottom of crane2 to prevent twisting. 4. 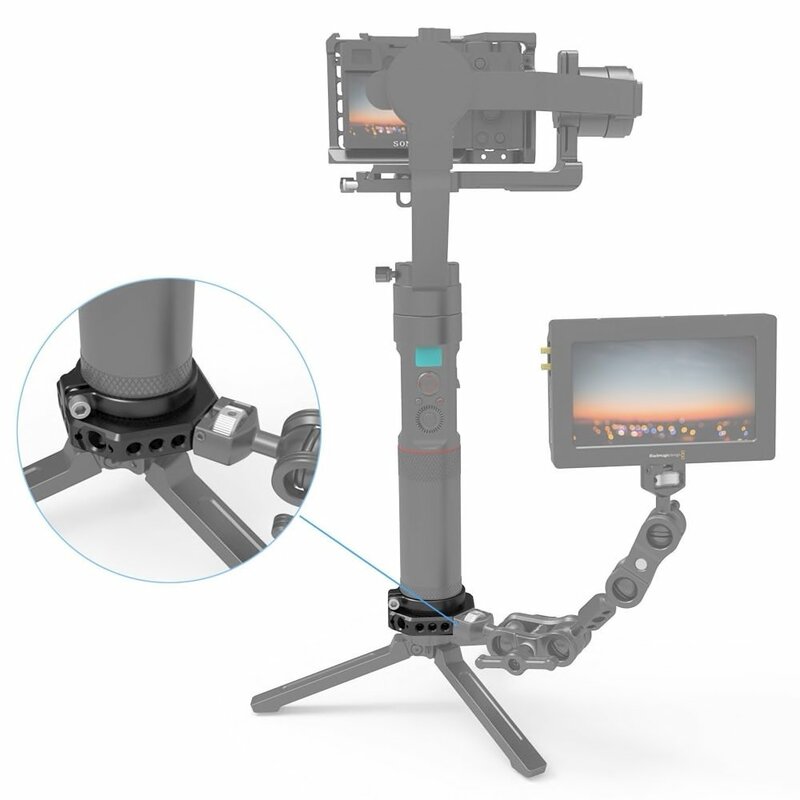 Provide multiple 1/4'', 3/8'' and arri 3/8'' threaded holes for accessory attachment.